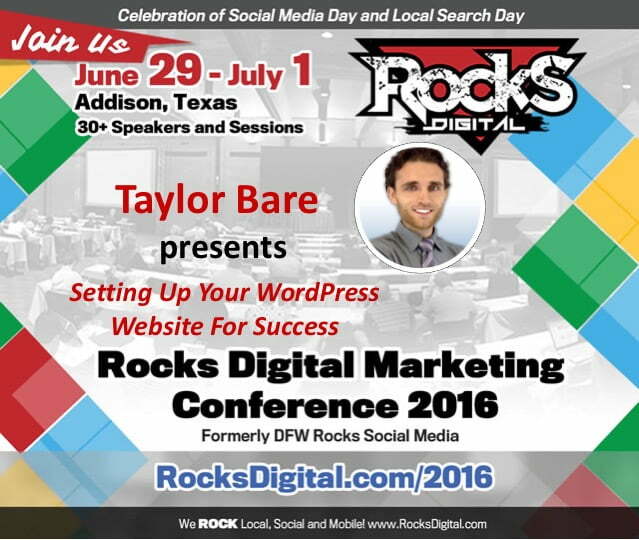 Taylor Bare is CEO of TaylorMade Web Presence, a website and online presence development company. He has an extensive background in search engine optimization, WordPress site development and web tools training for entrepreneurs. He’s also helped companies reach the first page of Google and increase their online conversion rates through split testing. At TaylorMade Web Presence Taylor and his team provide authors, speakers and coaches with the tools and training they need to build their platform, get paid and make a difference. Because Taylor believes small business owners and entrepreneurs should be able to make website changes on their own timetable, he teaches them how to take control of their web presence through the power and simplicity of WordPress. With a certification in advanced search engine marketing techniques, Taylor knows how to bring targeted website visitors, and as a certified Guerrilla Marketing practitioner he knows what it takes to turn visitors into sales. A website is much more than an online business card. It is the central hub of your online presence and the face of your business to thousands of potential clients. To effectively reach your audience, you must have the proper elements in place, as well as the tools that will allow you to manage your WordPress website with the greatest of ease, functionality and power. 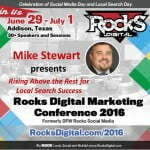 We ROCK Local, Social and Mobile and want to make sure you have a place to learn all about it. 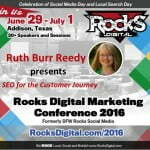 From our digital marketing resources to our annual digital marketing conference we are here for you!